Could a few minutes of "Candy Crush" make workers more productive? All of us -- admit it! -- have taken a peek at our smartphones or sent a text to friends or family when we were supposed to be working. Now a new study suggests there's no reason to feel guilty about it. The study by a Kansas State University researcher shows that these short breaks may actually help workers be more productive and happier. Sooyeol Kim, a doctoral student in psychological sciences, found that allowing workers to take smartphone "microbreaks" to play games or go on social media sites for a few minutes at a time, might be a benefit -- not a detriment -- for businesses. Studying 72 full-time employees across different industries, Kim found that employees who work an eight-hour day tend to spend an average of 22 minutes on their smartphone. He also found that employees who took these short breaks were happier at the end of the day. 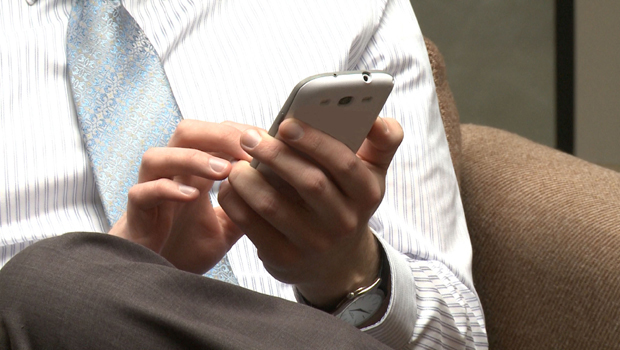 "A smartphone microbreak can be beneficial for both the employee and the organization," Kim said in a press release. "For example, if I would play a game for an hour during my working hours, it would definitely hurt my work performance. But if I take short breaks of one or two minutes throughout the day, it could provide me with refreshment to do my job." An app designed for the study measured the employee's smartphone usage during the workday and divided the usage into categories, such as entertainment and social media. At the end of the day, employees also recorded their perceived well-being. By texting or playing "Candy Crush" or "Angry Birds," the researchers found that employees recovered from stress and went back to work refreshed. Smartphone microbreaks have similar benefits to other activities like chatting with coworkers, taking a quick walk or getting a cup of coffee, the study found, helping employees cope with the demands of the workplace. "These days, people struggle with a lot of different types of stressors, such as work demands, time scheduling, family issues or personal life issues," Kim said. "We need to understand how we can help people recover and cope with stressors. Smartphones might help and that is really important not only for individuals, but for an organization, too."